Mitchell A. Orenstein is a leading scholar of the political economy and international affairs of Central and Eastern Europe. He is Professor and Chair of Russian and East European Studies at University of Pennsylvania and Senior Fellow at the Foreign Policy Research Institute. He is the author most recently of The Lands in Between: Russia vs. 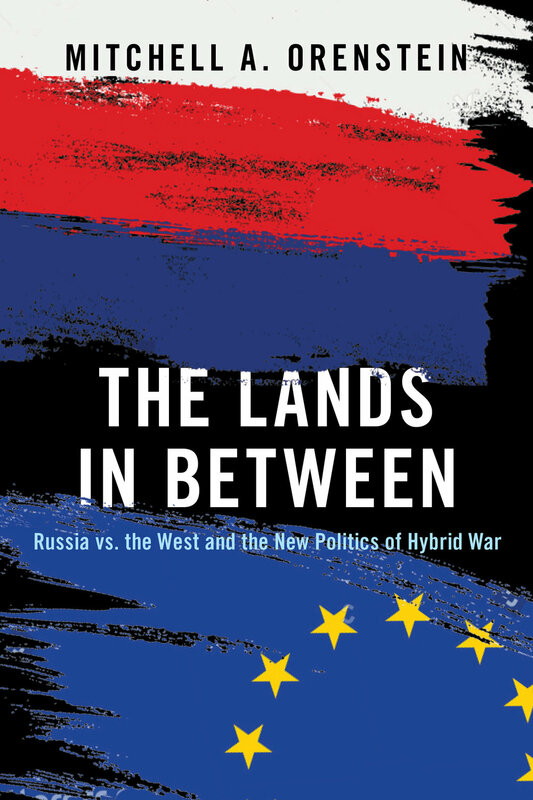 The West and the New Politics of Hybrid War (Oxford University Press, 2019), a study of how intensifying geopolitical conflict has shaped politics in the lands in between Russia and the West. It documents the “civilizational choice” faced by these countries, the resulting sharp polarization of politics, and the rise of corrupt power brokers who balance between both sides. While this politics is most evident in the lands in between, it is increasingly prevalent throughout Europe and the West. We are all lands in between. Prior to this, Orenstein co-authored From Triumph to Crisis: Neoliberal Economic Reform in Postcommunist Countries (Cambridge University Press, 2018) with Hilary Appel. Based on newly available archives from the International Monetary Fund and World Bank, From Triumph to Crisis develops a new theory of the political economy of transition that explains the enduring triumph of neoliberalism in the region from 1989-2008, as capital-starved countries sought to signal their openness to investment with policy reforms. Prior to this, Orenstein was the author of two prize-winning books. Orenstein’s first book, Out of the Red: Building Capitalism and Democracy in Postcommunist Europe (University of Michigan Press, 2001), won the 1997 Gabriel A. Almond Award of the American Political Science Association for the best dissertation in comparative politics. This book compares strategies for economic reform adopted in the Czech Republic and Poland after 1989 and their political, economic, and distributional consequences. It shows why democracies, under certain circumstances, can be more effective than dictatorships in economic policy making. Privatizing Pensions: The Transnational Campaign for Social Security Reform (Princeton University Press, 2008) won the 2009 Charles H. Levine Prize of the International Political Science Association for a book that “makes a contribution of considerable theoretical or practical significance in the field of public policy and administration, takes an explicitly comparative perspective, and is written in an accessible style.” Privatizing Pensions demonstrates the impact of a coalition of transnational actors led by the World Bank on pension privatization worldwide. This study shows that transnational actors can exert a powerful influence on domestic policy reform in democratic states despite lacking direct veto power, by influencing the ideas and policy preferences of domestic veto players. Professor Orenstein has also published two books on European social policy with the World Bank. Roma in an Expanding Europe: Breaking the Poverty Cycle, co-authored with Dena Ringold and Erika Wilkens, is a seminal study of Roma poverty, sociology, and public health. It won the Voter’s Choice Award for the most innovative analytical and advisory activity and the World Bank Europe/Central Asia Knowledge Fair in 2004. Pension Reform in Europe: Process and Progress, co-edited with Robert Holzmann and Michal Rutkowski, analyzes the political economy of pension reform throughout the European Union. Orenstein’s teaching encompasses the fields of comparative politics, international political economy, and international relations. He teaches courses on Communism and Russia and Eastern Europe in International Affairs at Penn’s School of Arts and Sciences and Managing Globalization and Anti-Globalization at the Wharton School. 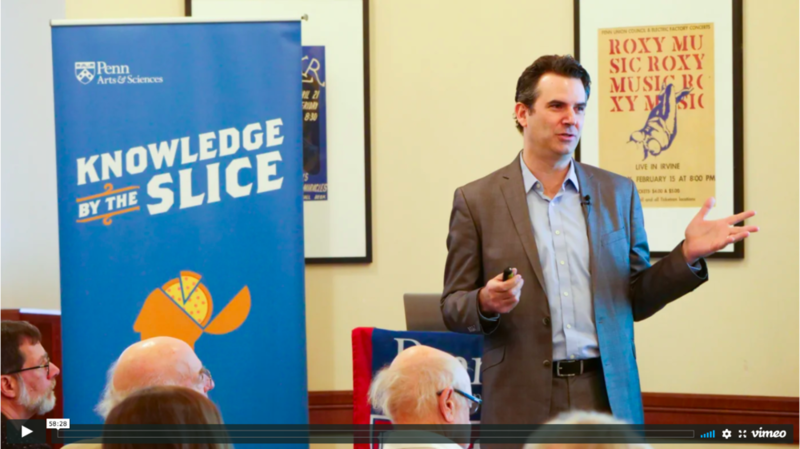 Prior to joining the faculty of University of Pennsylvania in 2015, Orenstein held appointments at Harvard, Yale, Brown, Northeastern, Syracuse, Johns Hopkins, and Moscow State Universities. Orenstein’s research has been recognized with fellowships from the MacArthur Foundation, American Council of Learned Societies, and Woodrow Wilson International Center for Scholars. He has consulted for the World Bank, USAID, the government of Slovakia, and other organizations. Professor Orenstein has lived in Britain, France, Czech Republic, Poland, and Russia. In his spare time, he coaches youth baseball and softball. He is married with three children. In the 1990s and the 2000s, influence flowed from West to East. . . . In the 2010s, influence flowed from East to West.